Today I’m going to talk about Vivien Leigh the film star. I’m aware that she would probably hate that. She spent much of her career rejecting that very label and replacing it with “actress.” So I’ll say this: Vivien was an actress – a hard-working and popular one – but she was also many other things: wife, mother, cat lady, art lover, fantastic letter writer, and yes, film star. It wasn’t the term itself that repelled her, but rather the connotations that went with it, namely typecasting and lack of control over one’s career choices. So who was right? It turns out they both were, kind of. Film historian Jeanine Basinger, author of the amazingly insightful book The Star Machine, described it best: “It’s a crackpot business that sets out to manufacture a product it can’t even define, but that was old Hollywood. Thousands of people in the movie business made a Wizard of Oz living, working hidden levers to present an awe-inspiring display on theatre screens: Movie Stars! Hollywood made ‘em and sold ‘em daily, gamely producing a result for which its creators had no concrete explanation.” And seeing as Hollywood cinema dominated the global market during the interwar years, it made sense that producers in Britain would try to duplicate Hollywood’s business practices. The most successful person to do so was Hungarian producer Alexander Korda, who built a self-contained film studio at Denham where he kept a roster of potential stars under contract, and relied on his distribution deal with United Artists to package them and ship them overseas. Korda played a huge role in shaping Vivien’s career. 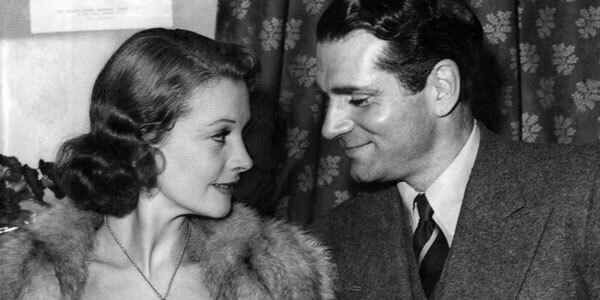 Furthermore, he became a personal friend, and she would later describe him as being one of the two most influential men in her life (the other was Laurence Olivier). Before Korda got a hold of her, however, there were a few other people who laid claim to having discovered Vivien. In 1934, she managed to get herself an uncredited walk-on role in the Cicely Courtniedge film Things Are Looking Up. This is kind of a random comparison but she reminds me of Jerry Maren in The Wizard of Oz. 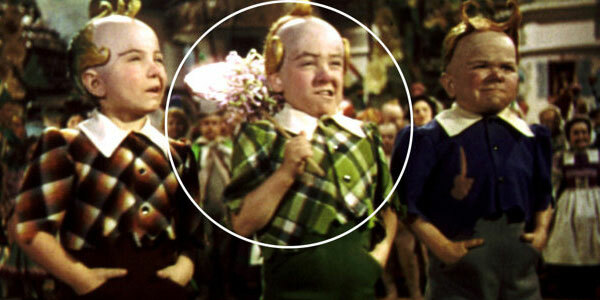 Maren was hired as one of the three munchkins that made up the Lollipop Guild, and Victor Fleming (who ended up leaving Oz to direct Gone With the Wind) apparently took a shine to him. After presenting Judy Garland with a giant lollipop, Maren proceeds to appear at the front of nearly every crowd shot in Munchkin Land and you can’t help but notice him in his bright green trousers. Vivien Leigh is the Jerry Maren of Things Are Looking Up, or at in least the group publicity photos that were used to promote the film. The camera obviously recognized something unique, and so did director Albert de Courville, who gave her a line of dialogue. After completing work on Things Are Looking Up, she signed with independent agent John Gliddon, who set her star trajectory in motion. According to Gliddon, Vivien’s star quality was evident from the moment she walked into his Regent Street office. “It was not only the loveliness of her face,” he said, “but the magnetism of her personality that impressed me. She had poise and grace, and her clothes were perfect in their expensive simplicity.” These very traits — beauty, charm, a ladylike manner and glamour and fashion sense — formed the foundation of Vivien’s star image. No matter what roles she played throughout her career, these characteristics were always present to some degree. The first thing Gliddon did was change Vivien’s name. Stars were marketable commodities and their names were the labels on the package. If the audience couldn’t pronounce someone’s name, or if said name didn’t have a unique and memorable ring to it, a career might be killed before it ever had a chance to take off. 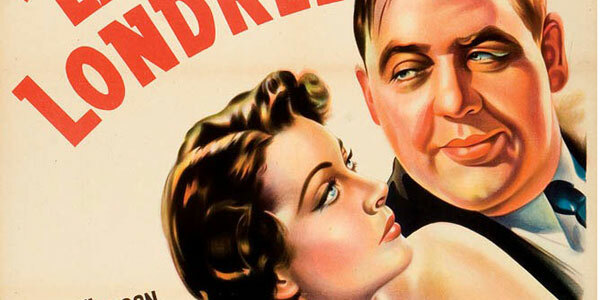 Many of the great film stars of yesteryear had their names changed. For example, Ruby Stevens, Lucille le Sueur, Archibald Leach, and my personal favorite, Spangler Arlington Brugh probably never would have made it big. But Barbara Stanwyck, Joan Crawford, Cary Grant, and Robert Taylor certainly would. If her name had appeared in the credits of Things Are Looking Up, it would have read Vivian Holman and that apparently didn’t have enough zing to it. Neither did her maiden name, Mary Hartley. 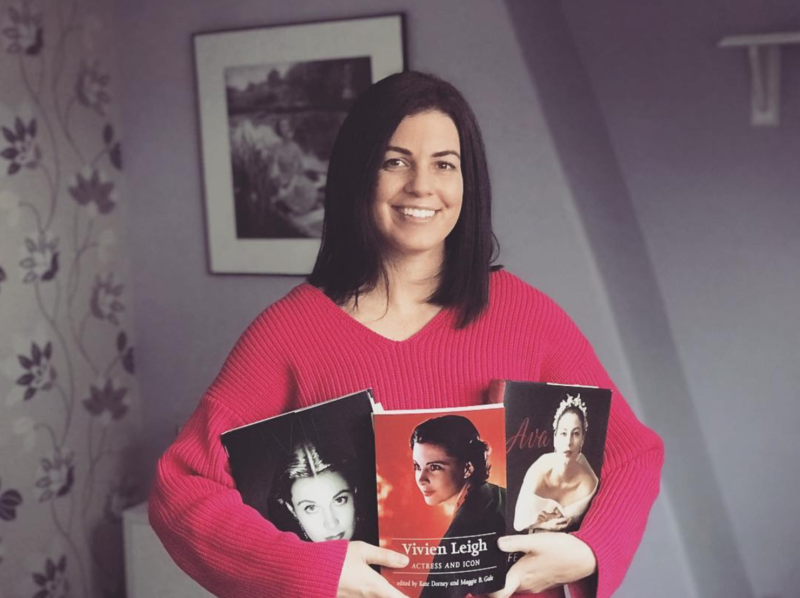 Vivien is said to have considered April Morn, Avril Maugham, and Suzanne Stanley as potential stage names but luckily she came to her senses and, at the suggestion of famed actor Ivor Novello, adopted her husband’s middle name to become Vivien Leigh. 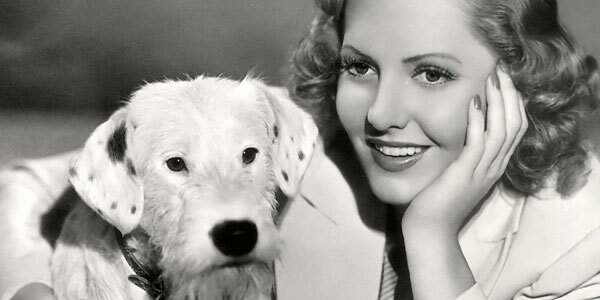 With her new name, Vivien secured supporting roles in two Paramount quota quickies before playing the romantic female lead in the Gracie Fields film Look Up and Laugh, directed by Basil Dean. Dean was also credited in the press as one of Vivien’s discoverers and for a short while it looked like he would keep her on for a long-term contract with Associated Talking Pictures at Ealing Studios. How different her career would have turned out if he had. Gracie Fields felt that Vivien had something, but Dean failed to see her potential and decided to pass on the option, and his shortsightedness cleared the way for her big break. By her own admission, she was not a born actress (although she had expressed the ambition to become one from a young age). However, when it came to film stardom, talent didn’t necessarily matter. 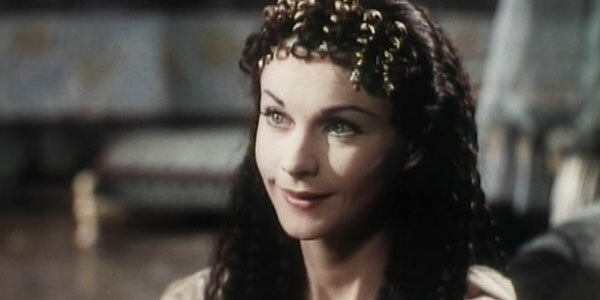 Alexander Korda didn’t offer Vivien a £50,000 contract based on acting ability. She was signed because the producer knew a business opportunity when he saw it and believed he could turn her into a profitable product. Korda and his publicity man John Myers created a biography for Vivien that was forwarded to the press. Certain aspects of her life were emphasized to lend credibility to the producer’s casting choices. 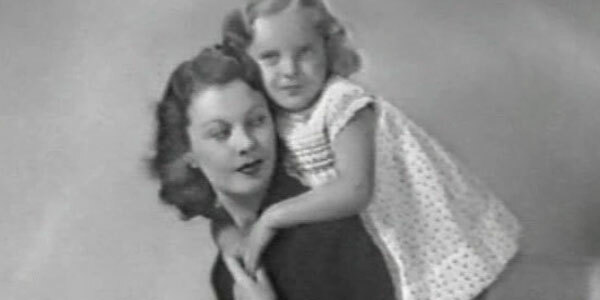 For example, the fact that Vivien had attended a series of finishing schools in Europe and spoke multiple languages, including French and German, made her more believable as Madeleine Goddard, a French/English double agent who pretends to work for German intelligence in 1937’s Dark Journey. But from a critical perspective, actually defining her star type proved difficult. My favorite attempt came from John Betjeman, then film critic for the Evening Standard: “The best description of Vivien Leigh would be to say that she is the opposite of Jean Arthur…Where Jean Arthur is tough, Vivien Leigh is gentle and cultivated. 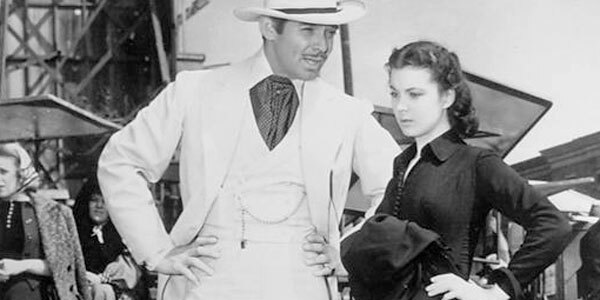 In fact, Vivien Leigh is the essence of English girlhood, which Jean Arthur isn’t, as she’s American anyway.” Funnily enough, Arthur would later contend with Vivien for the part of Scarlett in Gone With the Wind. Korda biographer Charles Drazin described Vivien as “less a jewel discovered than one painstakingly moulded in Pygmalion fashion.” Aside from having a story created around her, she was told where to make public appearances, had her name frequently planted in the press to keep the public interested, and was instructed on which subjects she should and shouldn’t talk about during interviews. So, Vivien became Korda’s protégée, and for the most part she was flexible and willing to cooperate. When negotiating her contract, her agent John Gliddon was somehow able to convince Korda to allow Vivien 6 months of every year to work in the theatre. This was great news in and of itself. In the mid-1930s, attitudes regarding the tried and true institution of live theatre, and the relatively new medium of cinema were still polarized. A lot of classically trained actors like Ralph Richardson, John Gielgud, and especially Laurence Olivier weren’t shy in expressing the opinion that films were merely a way to financially subsidize stage work. 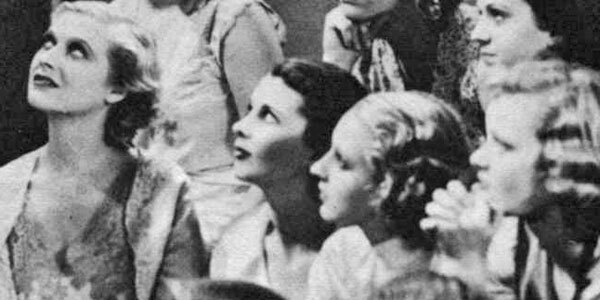 Vivien wasn’t classically trained, but her newfound fame in The Mask of Virtue allowed her to align herself with those same values: “The direct personal meeting with an audience means more to me than all the celluloid contacts in the world, whatever they mean in money and whatever they mean in fame,” she said. Once Vivien actually started working at Denham Studios in late 1936, it became clear that Korda was trying to turn her into the next Merle Oberon. In an historical context this referred to the types of screen roles that she was given, and her potential to become a success overseas. 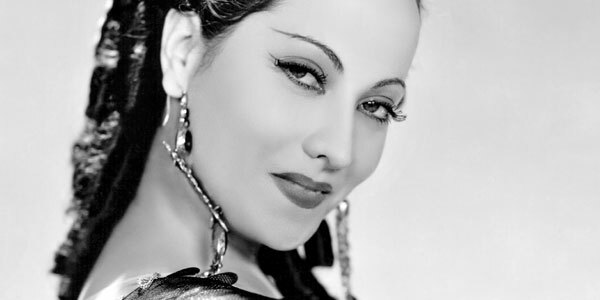 Merle Oberon was the prototype of a Korda success story. After making her way to England via India and France, she signed a contract with the producer and was given the part of Anne Boleyn in the 1933 Oscar-winning film The Private Life of Henry VIII. When the film became a hit, she was bumped up to lead actress status, and then part of her contract was sold to Samuel Goldwyn in Hollywood where she starred in classics like Wuthering Heights with Laurence Olivier, and Lydia. In 1939, Oberon topped off her success by marrying Korda. Korda promised that he would cast Vivien in several different types of films before sending her off to Hollywood, and he made good on his word. After Fire Over England, she was given the lead role of the straight character in the light comedy Storm in a Teacup, and cast opposite Conrad Veidt in Dark Journey, where aside from her spy duties she plays a fashion designer and clotheshorse, overtly referencing the image of the star as glamor goddess. To further emphasize this point, Vivien frequently adorned the pages of Vogue magazine, modeling haute couture by designers like Victor Stiebel, Molynoux and Schiaparelli. In 1938 Korda loaned her to MGM British to play a supporting role in A Yank at Oxford. As the town vamp who stirs up the male student population, she lets her flirtatious side run wild. Of all the films Vivien made in Britain during the 1930s, St. Martin’s Lane offered her the closest thing to a true star part. A substantial and multi-layered character, Libby was a departure from the beautifully superior, yet ultimately sympathetic women Vivien portrayed in her previous films. A self-assured pickpocket with dreams of one day rising out of the gutter, Libby is coquettish, petulant, mean, and unscrupulous as she casts aside Charles and her adoptive family of buskers in order to see her name up in lights at the Holborn Empire. 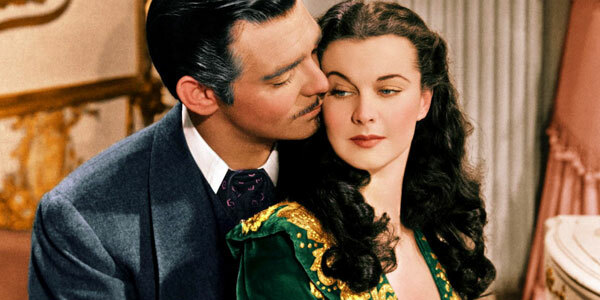 “[Vivien] is not afraid to let the shallowness of the girl come through – the hard, selfish streak and the sentimental rushes of remorse,” wrote the critic for the Sunday Express.⁠ If you watch this film back to back with Gone With the Wind, Libby seems like Scarlett O’Hara’s British cousin. 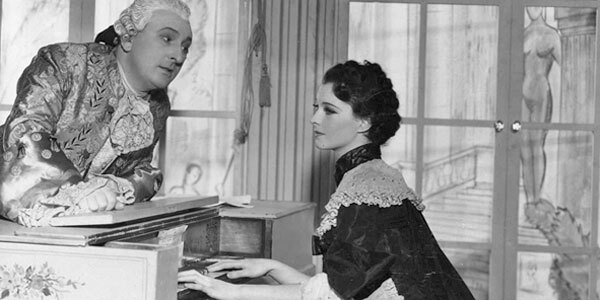 On April 19, 1938, John Myers released the following message from Korda: “Vivien’s part in St. Martin’s Lane is the most successful of her career, and one of the most dramatically satisfying performances ever seen. She is under contract to London Films, and I intend to use her only in great pictures which will make her internationally famous.”⁠ The film premiered in the UK in October of that year. Within three short months, Vivien was in Los Angeles signing on to play the most sought-after female role in Hollywood history. Gone With the Wind marked the first time Vivien was put through the entire rigamarole of the Hollywood star machine. Everyone has heard of how she showed up on the set at the last-minute and saved David O. Selznick from having to concede Scarlett O’Hara to his neighbor, Paulette Goddard. Selznick took one look and knew Vivien was right, “at least as far as her appearance went – at least as far as my conception of how Scarlett O’Hara looked.” That was the story he continuously propagated, anyway. But would she photograph well in Technicolor? Could she convincingly become the character? It was a less-than-pleasant experience trying to show that she could and would do all of these things, as she later told journalist David Lewin: “There were so many girls being tested and popping in and out of the costume that it was quite warm from the previous occupant when I came to put it on. I have never tested for a part since.” That wasn’t actually true. She tested for the role of Mrs. De Winter in Alfred Hitchcock’s Rebecca right after finishing Gone With the Wind. Vivien beat nearly every established female star in Hollywood for the part of Scarlett, but her fiercest opponent turned out to be public opinion. Before the ink was even dry on her seven-year contract, of which Korda smartly retained half, people from all over the US, including Hollywood insiders, started voicing complaints. One of the most venomous was written by a Wind fan named Kay Clement Peddell and reprinted by gossip columnist Hedda Hopper in the LA Times: “One can hardly believe that a producer who intends to pour millions into a picture could possibly make such a colossal mistake…Miss Leigh has lived and breathed England all her acting life. To trust her with the important role of an American woman of the Civil War period seems idiotic and almost an insult to American actresses and audiences.” It is unknown whether Miss Clement Peddell recanted her opinion when the film came out, but Hopper, who said the casting choice was ludicrous and thought that Selznick should have just called Parliament in England and said, ‘Well, you’ve won again,” certainly ended up eating her own words. “Vivien Leigh should report regularly at nine or nine-thirty, at the latest ten o’clock each morning: work at least two hours on her accent, then report for fittings, then report for rehearsals with Mr Cukor and for any photographic tests that may be necessary; then two hours more on her accent. Photographic tests should be made that will include experiments with her hair. Strict orders should be given, however, that nothing should be done that cannot be remedied: In other words her hair should not be cut or the color changed, nor should her eyebrows be plucked in any way. It sounds kind of extreme, but this sort of thing was commonplace in the movie business. I don’t think Vivien ever managed to completely distance herself from Scarlett. Given the success of both the film and her performance in it, it’s not surprising that people had difficulty assessing her later performances without referring back to the one that made her an international icon. 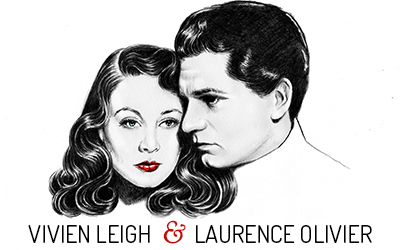 However, she placed artistic success above all, and thought typecasting was a menace, so after making two more films in Hollywood, she packed her bags and defected… Alright, so the war was on, and Selznick granted her permission to return to England for love of her country and Laurence Olivier. He also kept her on a short leash by not allowing her to take roles she wanted in artsy British films like Olivier’s Henry V. She was only allowed to make Caesar and Cleopatra for Gabriel Pascal because the source material was prestigious and the budget rivaled that of Gone With the Wind. Selznick fully expected her to make good on her word and return to California once the war was over. When she didn’t, he served her with a lawsuit for breach of contract. In an anticlimactic ending, an amicable settlement in 1945 freed Vivien from the grip of studio control. Normally if a film star disappeared from the screen for years at a time, he or she risked being replaced by someone else, or fading from popularity. Not so for Vivien who, after going freelance, only made a film about once every five years. And yet she never fell from the top in terms of being billed above the title. If you’re not impressed by that, consider this: In 1953 Vivien became uninsurable – that is, she was considered a liability – owing to a severe nervous breakdown during the filming of Elephant Walk in Hollywood, for which she was replaced by Elizabeth Taylor. From there on out, it was a risk to even cast her because producers were never sure whether she’d actually be able to complete a film (to her credit, she always did). What was her secret? Part of it had to do with the sustained cultural currency of Gone With the Wind. The film was revived in cinemas numerous times throughout Vivien’s life, so it never really had a chance to fade from memory. Another element was her marriage to Laurence Olivier. They were arguably the most popular celebrity acting couple of the post-war era, occupying significant space in the public imagination. Between 1940 and now, hardly an article has been written about one of them that doesn’t mention the other. 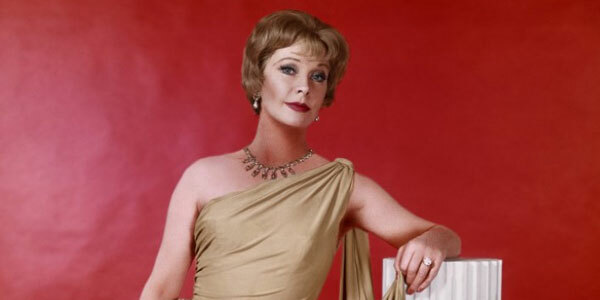 Vivien was also a guaranteed box office draw, both in the cinema and in the theatre. And on top of that, a lot of people in the business actually liked her as a person, which definitely couldn’t be said of everyone in her position. Despite her lasting star power, staying at the top wasn’t easy. To quote Jeanine Basinger again, “It was tough for a woman to last…The camera was a cruel observer, and it saw age: wrinkles, thickness, the loss of that glistening shine of the first blush of ripe sexuality.” As she progressed as an actress, Vivien felt that her beauty was a handicap because it prevented critics from being able to assess her talents. So she wasn’t afraid to obscure her looks on-screen if she felt it helped to convey the truth of a character. In retrospect, it’s difficult not to draw parallels between aspects of Vivien’s own life and the characters she played on-screen, particularly during the 1960s. It couldn’t have been easy to transition to middle age while in the public eye. Especially when her husband of twenty years left her for a woman half her age and the dramatic ending to the famous romantic saga of The Oliviers played out in headlines. 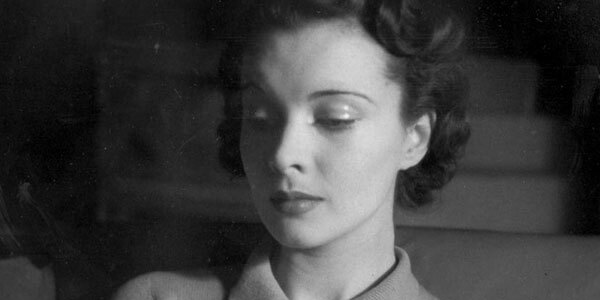 Vivien believed that “every emotional experience that one goes through, whether one’s in love or out of love, or whether one is totally miserable or totally happy – all those things help to describe a character.” So instead of retreating from the unflinching eye of the camera as she got older, she used it to project her own vulnerability. The most obvious example can be seen in the 1961 film The Roman Spring of Mrs. Stone, based on the Tennessee Williams novel of the same title. Unable to face the passage of her youth, Karen settles in Rome following the death of her husband and ends up falling for a young Italian gigolo with a reputation for extorting older, wealthy American women. Vivien initially refused to take the part because she thought it “too cruel.” But she sought to find truth in her work, bravely drawing on her own experiences to bring poignancy, depth, and dignity to characters that might not otherwise have elicited much sympathy. Of her performance, longstanding New York Times film critic Bosley Crowther wrote: “No one can sit on a banquet in a swank restaurant and watch a churlish lover walk away with another woman more knowingly and poignantly than she. Her surges of ardor have the fullness and fitfulness of the real thing; her torrents of grief are as liquid as though they came from a heart truly crushed.” In her final film, Ship of Fools, she played a bitter divorcee with equal aplomb leading an ensemble cast that included some of the biggest names of 1960s Hollywood cinema. Kendra, this was wonderful. Your writing is so skillful and always such a pleasure to read. I’ve studied everything I could get my hands on about Vivien for over 37 years now, and still you always surprise me with new information and your uncanny ability to make the subject fresh. By the way, I’ve been meaning to write and ask you … when is the second printing of your book due to be released? I want both editions! Hope you’re doing well. Thanks for another wonderful post. I really enjoyed it! Thank you, David! It’s so nice to see your comments! The 2nd printing of the book is actually in stores now – or should be, anyway! Incredible article! Leigh was one of the best ever, I got so attached to her acting that I was literally distraught after Roman Spring of Mrs. Stone, just because of what her character went through – THAT is superb acting. She made me feel for her as an actress having to go through emotional torment onscreen as a character! I’ve never felt that way before, and it’s perhaps the most wonderful performance that I’ll never be able to sit through again. By comparison, I can watch Streetcar almost annually. I believe that until Hilary Swank did it again, Vivien was the only actress to get two Best Actress wins in two nominations. MAJOR KUDOS for your article! Many thanks to you! I agree that her performance in Roman Spring is quite poignant, in a different but perhaps no less effective way than her performance as Blanche DuBois.